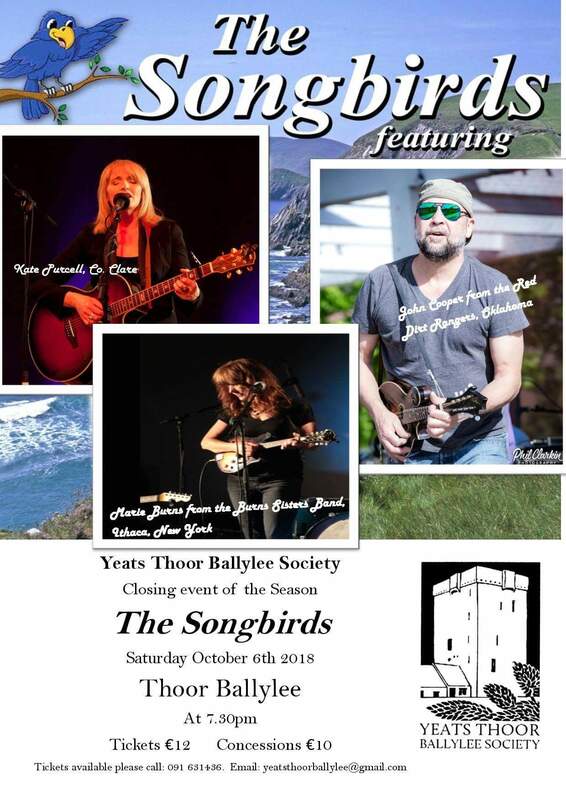 The final event of 2018 at Thoor Ballylee is a concert of music by The Songbirds. It’s the last chance to hear music at Thoor this year: come along and visit the tower in an atmosphere of celebration! The Songbirds feature musicians from around the globe: John Cooper from the Red Dirt Rangers California, Maria Burns from the Burns Sisters Band, Ithaca New York, and Kate Purcell from down the road in County Clare. With classic singers and expert musicians this concert promising to be a fine send-off to a wonderful 2018 season.